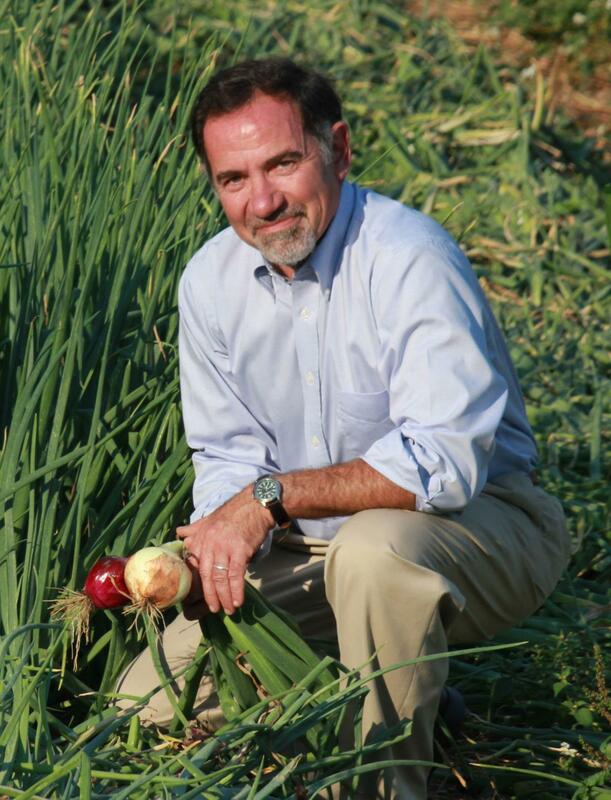 Anthony Flaccavento is an organic farmer who has been working on community, environmental and economic development issues for 30 years. He is the author of Building a Healthy Economy from the Bottom Up. In 1995, Anthony founded Appalachian Sustainable Development, which became a regional and national leader in sustainable economic development. Anthony left Appalachian Sustainable Development in 2009 to found SCALE, Inc, an organization that works with communities nationwide to improve their economic standing. Anthony is a carbon farming expert. In a series of short videos he calls Take 5 with Tony (Watch: Video 1 Climate Change, Video 2 Carbon Farmer), he offers practical tips for farmers on how to improve soil health to sequester carbon, while explaining why carbon farming is needed to solve the climate crisis. He has another great video series on genetic engineering. My family has been selling organic fruits and vegetables for the past 24 years, long enough to know both how productive a small farm can be, and how tough it is to make a good return in agriculture. On our place—an old tobacco farm, just outside of Abingdon—we work to balance good land stewardship with efficient production of high quality produce that people will buy. Because that ‘buying thing’ can be tricky for farmers, along the way we’ve helped launch farmers markets, a regional food aggregation hub and a number of efforts to make good food more affordable for people of limited means. I’ve done similar work as a consultant in places as diverse as rural Arkansas, West Virginia and the South Bronx. Rural places, like much of the 9th District, are deeply tied to the land. Whether we farm, fish or hunt, hike the AT in Damascus or bike Sugar Hill Trail above St Paul, gather ginseng or morels, or cut downed trees for firewood, we experience the environment as part of our lives and livelihoods. It’s out our back door and under our fingernails. This is true not only for outdoor enthusiasts, but for many coal miners and loggers as well. So how is that so many rural people have come to hate the EPA or to mistrust environmental regulations? Well, that’s a complicated issue. Part of the answer is no doubt money: The Koch brothers and others on the extreme right have spent millions of dollars convincing us that we can’t have ecological protections and a strong economy; that every effort to control carbon emissions or keep our air and water clean is a ‘war’ on coal, on farmers, on our way of life; that we have to choose between jobs or the environment. Vote for Anthony! To support his campaign, please donate and get involved. Why so few candidates in Virginia? There were some great candidates we endorsed in the Virginia primaries who unfortunately lost their races. And, we’re sure we missed some. If we did, please send us an email at info[at]citizensregenerationlobby.org.